This morning I promised I’d be strict and leave off blogging until next week. I said I’d get on with my other work this afternoon, and leave the bookishness until Monday, when the February TBYL Book Club kicks off. But that was before I went for a stroll to check the mail. On checking my mail box, much to my delightful I found a package from Penguin Books, and guess what? It’s not for me…it’s for on of you! I’ve been going on all week, to just about anyone who’ll listen, about Alain de Botton and how I got to meet him last weekend. I was thrilled to have a copy of his new book Religion for Atheists signed (another title for my collection) and a happy-snap taken for the album. 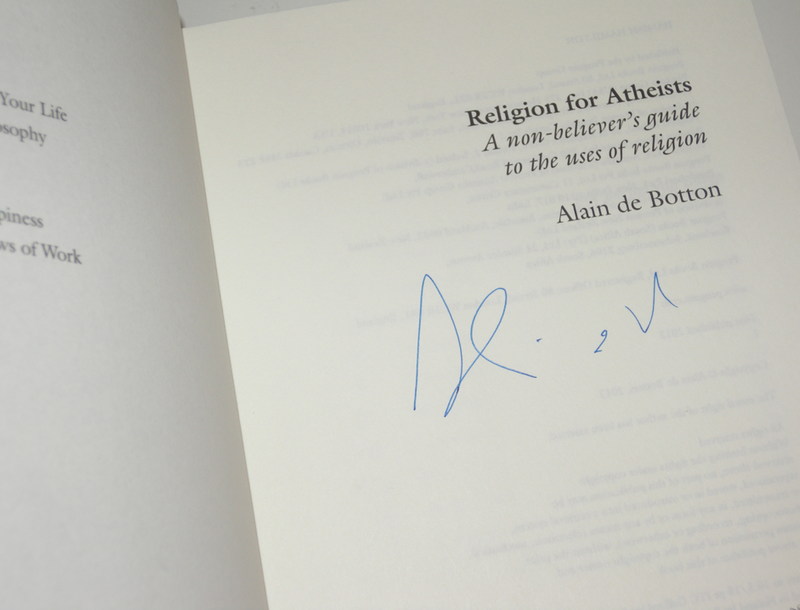 And now, I’m so pleased to be able to give-away a signed copy of de Botton’s Religion for Atheists to one lucky reader. …and tell us why you’d like a copy of Religion for Atheists for your bookshelf. 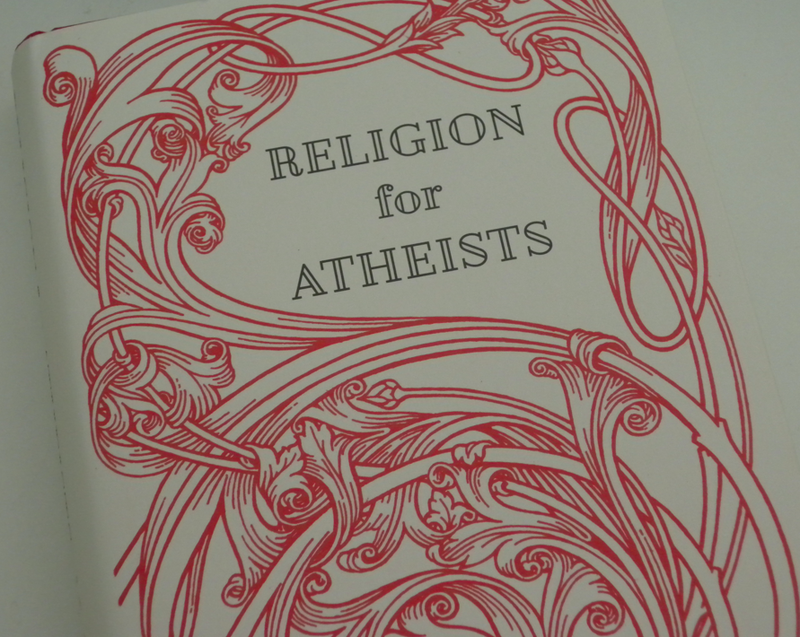 The winner of this month’s competition (selected at random) will receive a signed copy of Religion for Atheists. Entries close Friday, 2 March 2012. The winner will have four days to claim their prize, or a redraw will be held. I didn’t see him on Adam Hills, but I’ll have to track it down and have a watch. It really was a privilege to meet him, he’s a great guy and an amazing thinker. Maybe I should watch it this afternoon, instead of doing my editing… what do you think? Thanks Michelle, I’ll be sure to check it out over the weekend. I was talking to my son just yesterday about the years that me and my hubby didn’t have a TV. He thought we were a bit mad I think, but we loved it! I really really want to read it and my the copy from my local library was checked out. I’d think it’ll be pretty difficult to get out of the library for a little while too. I’ve been after copy since I heard him being interviewed on ABC radio. Spoke to the core of my beliefs (or lack of lol). Winner has been announced! Well done Michelle Mckay. See http://wp.me/p1iQpY-1eG for full details.